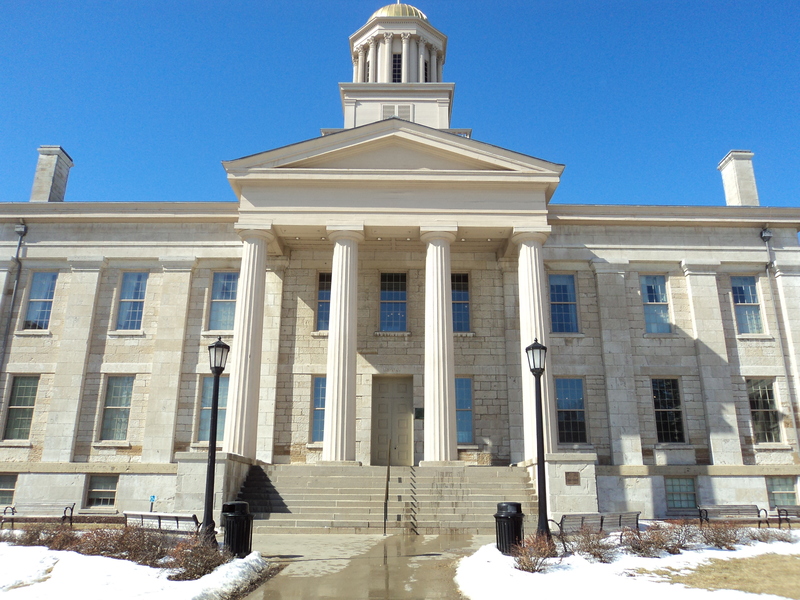 This past weekend my family and I decided to spend the day in Iowa City and visit the Old Capitol Museum. Since moving here about 2 years ago, we have driven through Iowa City many times but we have never explored the area. Even though there was still snow on the ground, the weather was in the 50’s and we were happy to be out of the house and on A Trip to the Old Capitol Museum. We parked in a nearby parking garage for only $1.00 an hour and headed to the museum where admission is free. You can’t beat that deal! 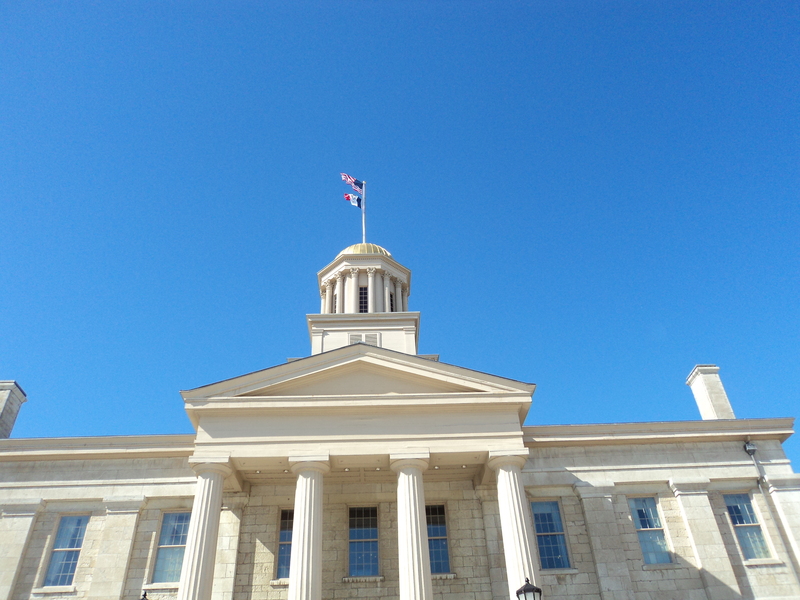 As we approached the Old Capitol Museum I noticed the beautiful gold dome on top with both the American flag and the Iowa flag flapping in the wind. It was great to see this historical building up close after helping my daughter construct a model out of clay for a social studies project on the Old Capitol Museum. She chose this particular building because she fell in love with the history and the beauty of this building during a field trip with her classmates. As you enter the building, the first thing you will notice is a beautiful spiral staircase that is very unique because it is actually a reverse spiral staircase. This was my favorite part, I absolutely love the look and the story behind these stairs. The original builder, John Frances Rague apparently quit this project before it was done and took his plans with him. The new builders finished the project and I for one think they did a great job! 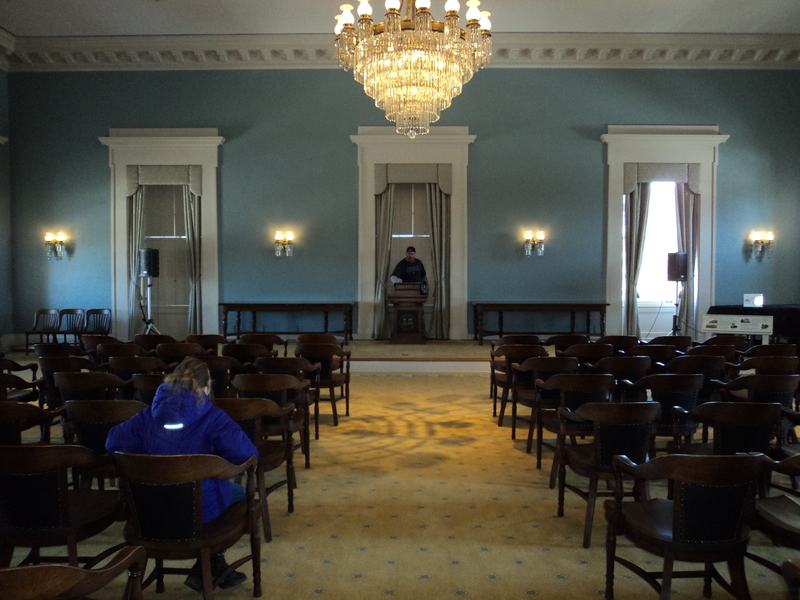 We had a lot of fun exploring the different rooms, offices, and gathering places, within the the Old Capitol Museum. We may have got a little carried away because instead of taking a tour with a guide we decided to let my daughter show us around. My husband took full advantage of the scenery and posed for some funny photos. I was amazed at the lack of supervision and how they just let you have free roam over almost the entire museum. There were a few areas with signs letting you know not to touch the genuine artifacts in place but you are able to get pretty close and take some great pictures. 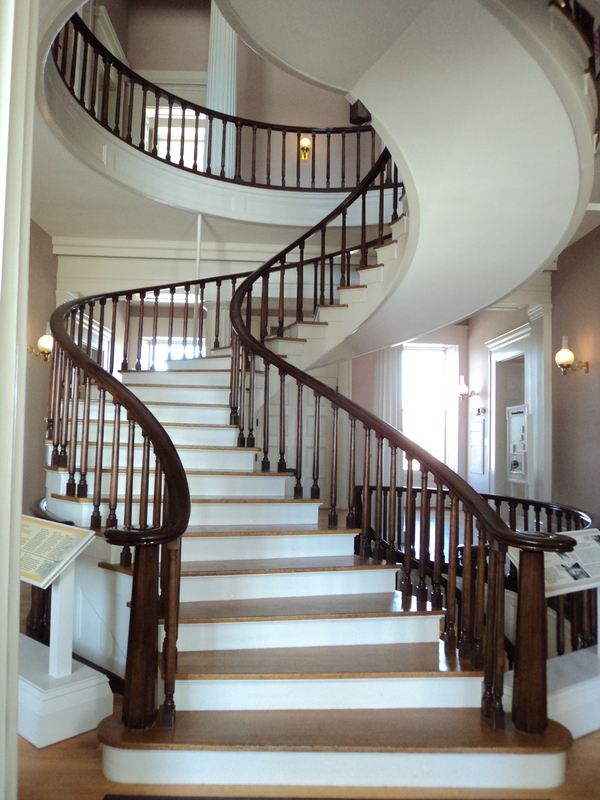 We had a great time on our Trip to the Old Capitol Museum in Iowa City and would highly recommend anyone in the area or if you are up for a road trip to stop in and take a tour. You can find out more information about the museum by visiting their website here.